With Mythic Tomb of Sargeras right around the corner, we’ve decided to compile a list of the most essential and useful AddOns that every raider should be using in order to maximize their role in the group. Now, of course AddOns are not absolutely mandatory in WoW, but they improve your in-game experience by quite a lot, and when it comes to cutting edge, or even normal raiding, they can sometimes go so far as to cut in half your group’s wipes per boss. 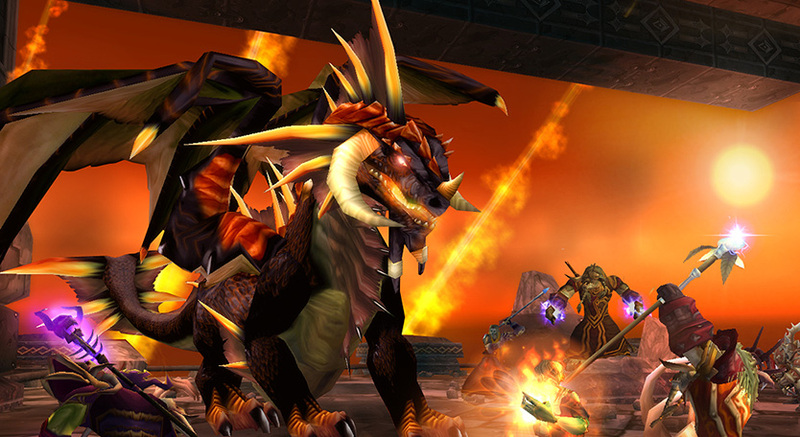 Almost 10 years old now, Deadly Boss Mods is the most downloaded WoW AddOn, and a must-have when it comes to WoW raiding. This is one of the AddOns that can definitely reduce your wipe counter significantly, especially when progressing a new boss, as it keeps track of all mechanics and timers for the respective fight, warning you every time an important phase or encounter ability is about to happen. DBM is also very customizable, allowing you to adjust the bars, colors, voices and various other warnings and timers. 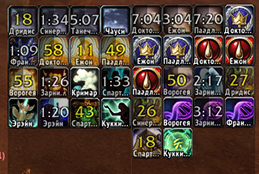 If you’re serious about raiding, then DBM should absolutely be in your AddOn list. 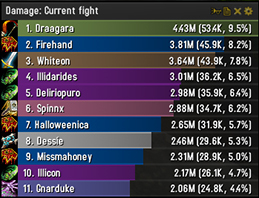 Skada is an amazing AddOn for raiding, as it basically is a number cruncher. It keeps track of every single ability-wise thing that happens during an encounter, which is extremely helpful when you’re trying to figure out what went wrong after a wipe. From damage done / taken, healing done / taken, to deaths and overall DPS, and many other statistics, Skada keeps track of everything with the purpose of showing you what happens. Whether you’re using it to track and improve your performance, or compete with your guild mates or other players via logs, Skada is definitely another must use AddOn, since it can show you exactly what you did wrong rotation or fight wise, and what to improve for the next attempt. Despite not being very used up until Warlords of Draenor, Exorsus Raid Tools quickly made its way in the top WoW raiding AddOns. Personally, I think that’s mostly because of the Kromog’s (Blackrock Foundry), Mythic Kormrok’s and Archimonde’s (Hellfire Citadel) ability helper. If you’ve progressed Mythic Archimonde, for instance, then you most likely know its “Wrought Chaos” ability, and if you weren’t using Exorsus Raid Tools or a specific WeakAura, then you must’ve been in quite some difficulty getting to the last phase with every player alive. Unlike Deadly Boss Mods, ERT does not track the ability timers, but it merely shows an overlay on how to deal with it once it happens, or provides the necessary tools for the raid leader to mark players or locations faster. Bottom line, one thing’s for sure, Blizzard will keep making difficult bosses every tier, and you don’t want to be “that guy” who wipes the entire raid because you’re lacking an extremely useful AddOn such as Exorsus Raid Tools. 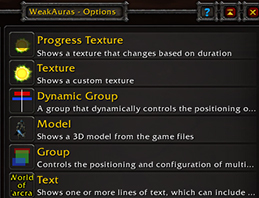 WeakAuras 2 is an amazing AddOn that helps you track custom things, whether they’re related to the actual encounter or your class. You can customize it to track any ability the boss is using or any proc you might get from your rings, enchants, trinkets, and such, as well as spell charges. It’s extremely helpful in both raids and dungeons (especially in Mythic+), and it can help you maximize your damage / healing / tanking efficiency and, at the same time, be aware of everything that’s happening in the encounter. For example, here’s an awesome compilation of all WeakAuras you should import for the raids and dungeons released so far in Legion. 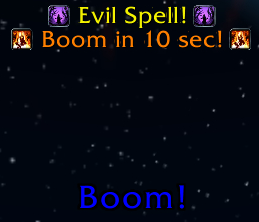 Although Bartender4 is not as mandatory, so to speak, it’s extremely good and recommended to have, since it helps you bind your abilities and macros much faster, not to mention the Extra Action Buttons, such as the ball during Heroic Sha of Fear in MoP, or the Orb on Shadow-Lord Iskar in WoD HFC. It can also help you drag, increase or decrease the bars’ size, or the number of abilities per bar, allowing you to customize your UI to your liking, and to further increase your visibility while in combat, especially when fighting a raid boss. Of course there are many more other AddOns that you can use when it comes to raiding in World of Warcraft, but since they’re either class / spec / DPS / healing /tanking based, they haven’t made their way into our top 5. 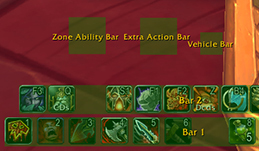 However, despite that, the above 5 AddOns cover pretty much everything that you require in a raid environment, as well as everything you should know class wise, granted you’ve imported your class’ strings (referencing WeakAuras 2). Hopefully this post has helped you find what you were looking for, and if you’re missing any of these AddOns, right now is the time to get them, as Mythic Tomb of Sargeras is just one week away!